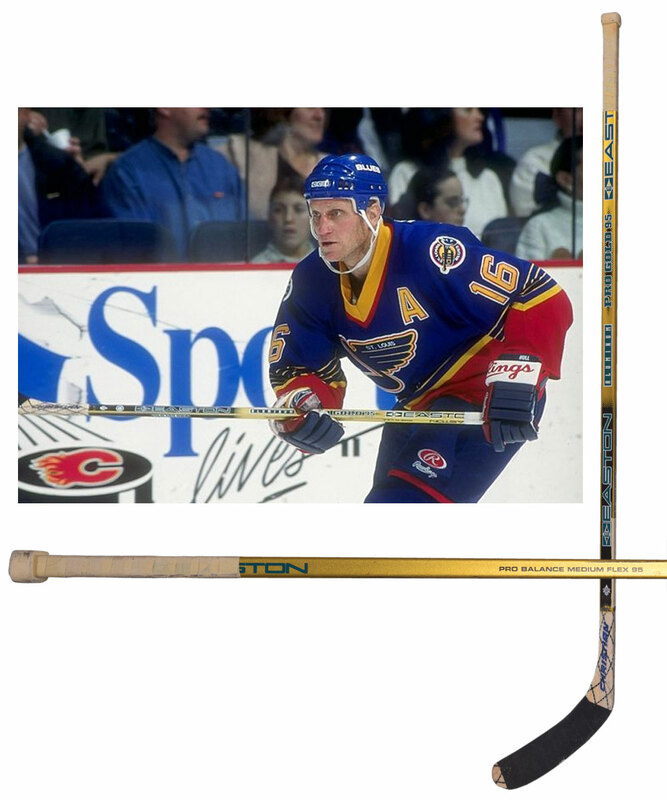 The 1996-97 NHL season would be the second-last for Brett Hull in St Louis, with the HOFer racking-up an impressive 82 points in 77 games, as well as making his 7th All-Star Game appearance. The season also witnessed The Golden Brett score his 489th career goal, on October 26th 1996 vs Washington. We have the stick Brett used to score his 489th, a contest in which he also secured an additional 3 assists for a 4-point night. An Easton Pro Gold 95 model with “Hull” faint but visible over the inserted blade stem, the stick sports the original black tape over the blade and white over the handle/knob, with a handwritten notation over tape affixed to the lower shaft that reads, “#489 Wash 6 St Louis 4 26/Oct/96”. A signed LOA from Brett Hull will accompany. The blade exhibits light use, with a few marks visible over the lower shaft, along with some toning and paint transfer to the white tape over the handle.